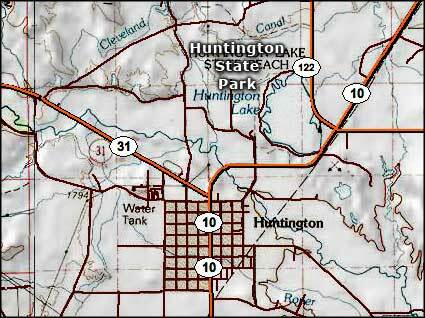 Long a well-kept secret of local residents, Huntington State Park is centered around the Huntington Reservoir, a warm-water lake with world-class fishing for bass and bluegill. Folks also like their boating, water-skiing and crawdad-catching around here. 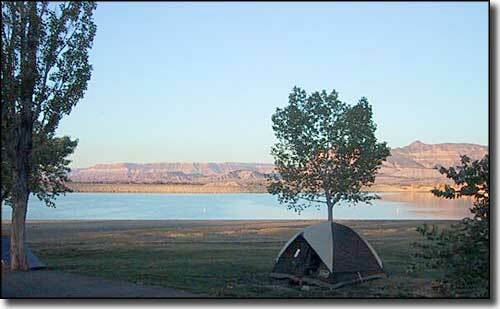 This is a quiet oasis in the desert, surrounded by high cinnamon-colored buttes. Because of the quiet and the warm water, many migratory birds hang out for a few on their flights north and south, especially the waterfowl. Huntington State Park is open in the summer from 6 AM to 10 PM, and in the winter from 8 AM to 5 PM. The park is closed only for Thanksgiving and Christmas. The $5 day-use permit covers use of the boat ramps. You can also get a $75 annual park permit at the Huntington State Park Office. The campground on the beach costs $16 per night. 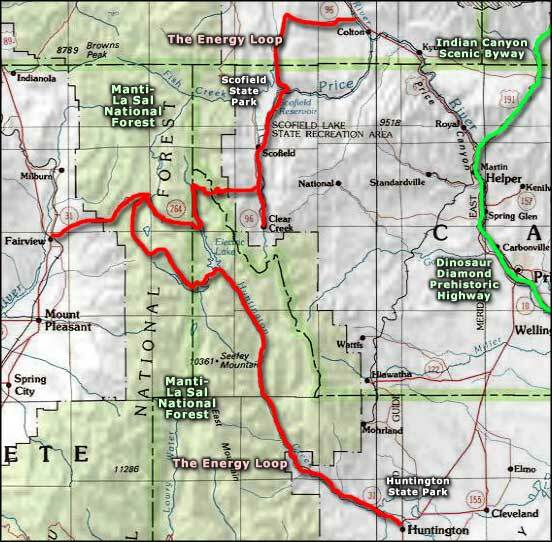 Huntington State Park is located on Highway 10, about 2 miles northeast of Huntington in northwestern Emery County.